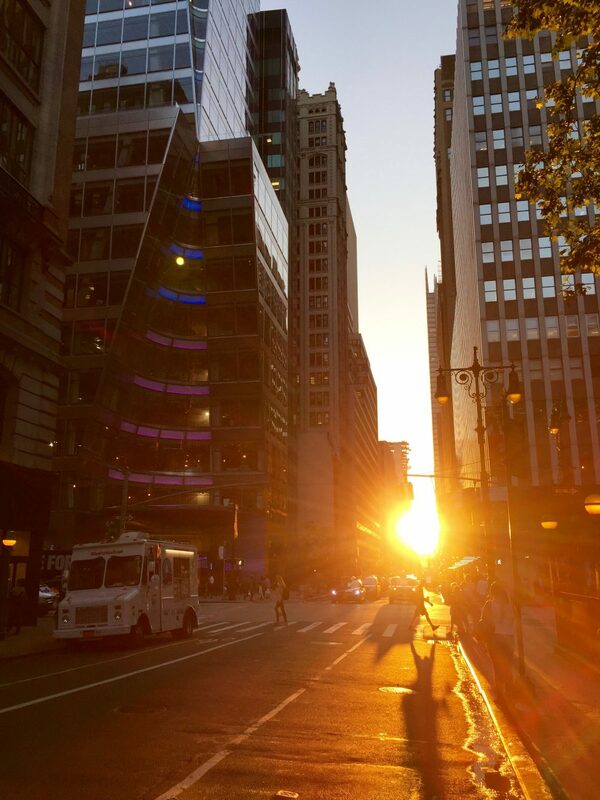 Thousands of people flocked to the cross streets of Manhattan this week to capture the stunning sunset which has been dubbed ‘Manhattanhenge’. 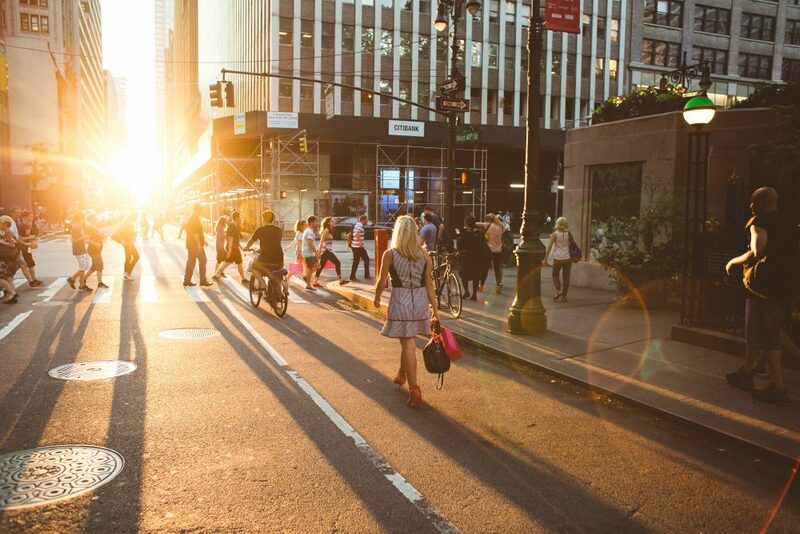 Twice a year, the setting sun aligns precisely with the east-west streets of Manhattan’s street grid system creating a glow of light throughout the concrete jungle and creating a ball of light between buildings. The name Manhattanhedge, popularised by astrophysicist Dr Neil deGrasse Tyson as it is a similar occurrence to Stonehenge in the United Kingdom where the sun on the summer solstice, sets in alignment with the stones. But while Stonehenge was built along a true east-west axis, Manhattan’s street grid is imperfectly aligned with the directions of the compass so Manhattanhenge occurs when the sun sets 30 degrees off from true west. It also happened to correspond with my Travelshoot and my photographer Luc captured the moment I was bathed in its golden glow. Photo by Luc of Travelshoot.